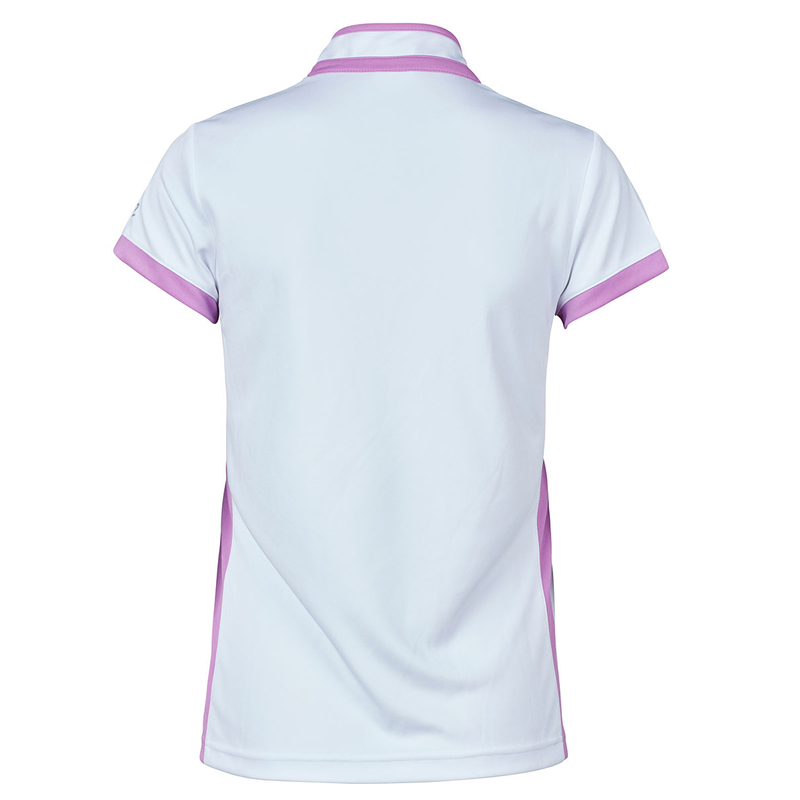 Made specifically for the sport of golf, this elegant golf shirt has been designed with Quick Dry material to assist in your performance as you play golf. 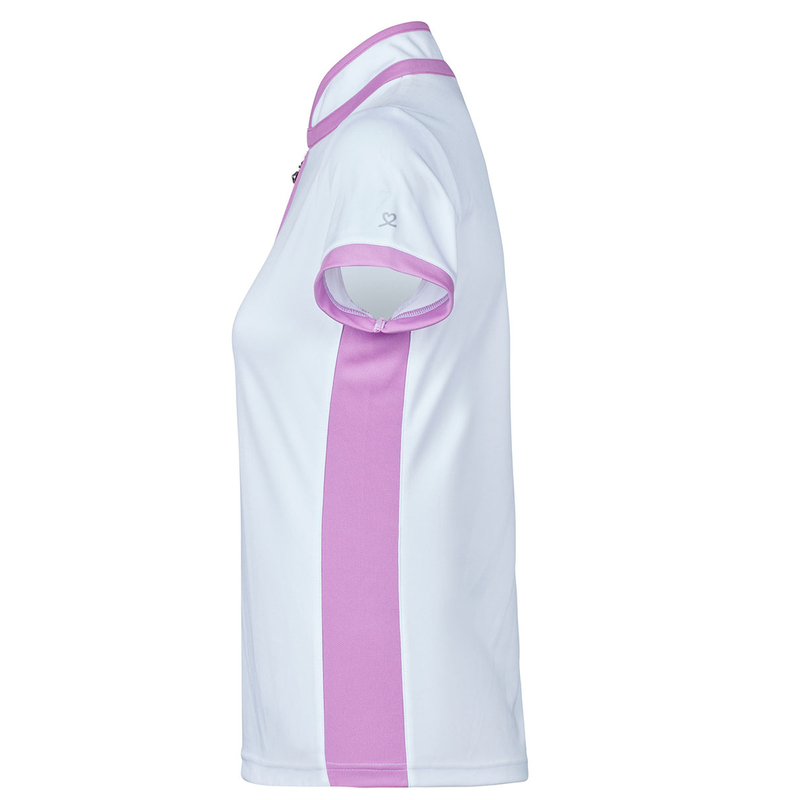 This material is highly breathable and has moisture wicking properties to ensure you remain dry, comfortable and fully focused on your game. 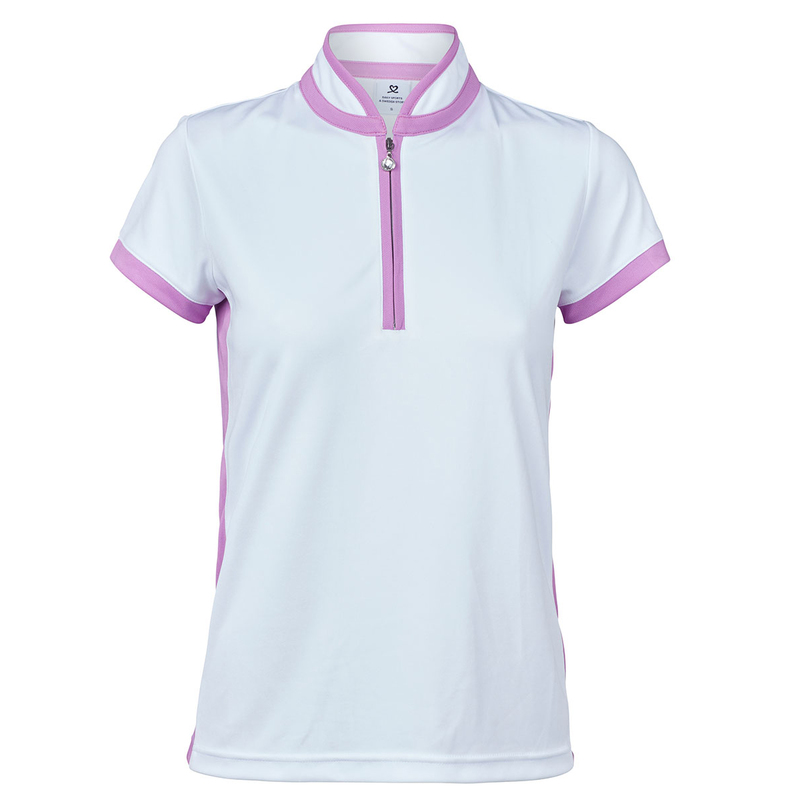 The design features an open neckline, which is highlighted with a charming glass stone zip pull, and has contrast colour sides, armholes and neckline.